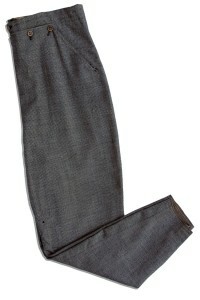 Nelson Eddy’s pants from the film Let Freedom Ring (1939) are up for auction. 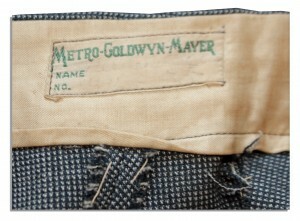 A closeup of the pants can be seen in the photo below, as well as the MGM label with a badly-faded name written on it, to show that these were worn by Nelson. 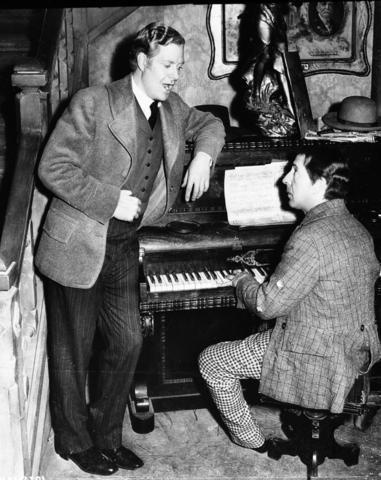 But note that on the auction site, the photograph they show does not have Nelson in it! Here’s the link to the auction. Good luck to the winner; please email us if you get them!